The presentation given by IBM's IBM i Virtural User Group last Wednesday (December 11, 2013), called IBM i 7.1 TR7 DB2 Enhancements, can either viewed or downloaded below. I have to admit I was a bit disappointed there was not more on the conversion from DDS to SQL DDL. The next VUG meeting is on Tuesday January 14, 2014, at 9:30 - 11:00 AM US Central Time, and is entitled Introduction to the IBM i Performance Data Investigator. 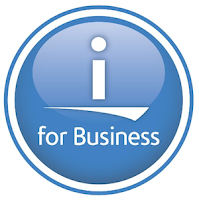 IBM Navigator for i has Performance tasks that includes many traditional i performance capabilities. It also has the ability to manage your performance data collections. The most exciting feature is the Investigate Data task, which provides the ability to graphically view your i performance data through a browser interface; Collection Services, Disk Watcher, Job Watcher, and Performance Explorer data can all be investigated through this interface. This session will go through all the capabilities of the Performance Data Investigator. You will learn how to look at your performance data through PDI, discover various IBM-supplied views of your performance data, and how you can use PDI for performance reporting.